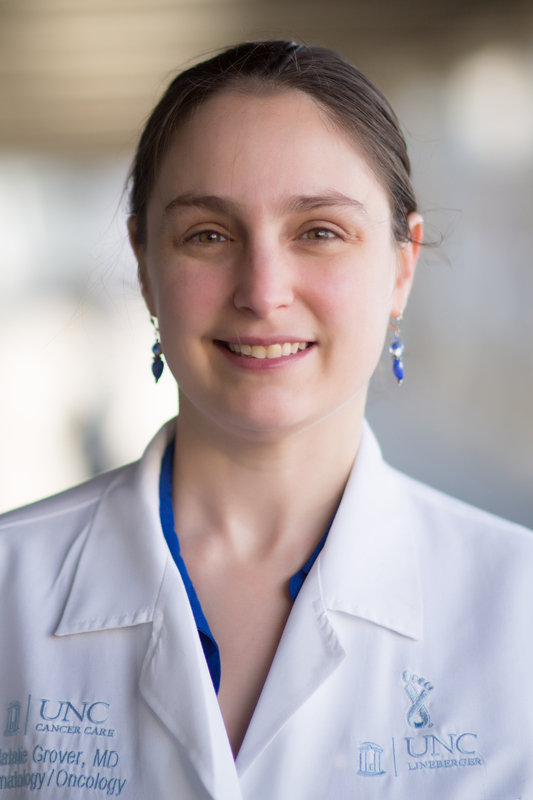 I am an assistant professor in the Division of Hematology/Oncology at the University of North Carolina at Chapel Hill with an interest in designing and implementing therapeutic clinical trials in lymphoma and cellular immunotherapy. My particular area of research interest is the use of the exciting new therapy of chimeric antigen receptor T-cells (CAR-T) in the treatment of lymphoma. This treatment is associated with unique and life threatening toxicities. In order to safely care for patients receiving this therapy, it is imperative that a CAR-T clinical investigator thoroughly understand the management of these adverse events. Therefore, during fellowship, I arranged and received funding to spend time at the Children’s Hospital of Philadelphia, where I learned how to treat patients experiencing cytokine release syndrome and neurotoxicity. I also learned the logistics of setting up CAR-T trials and the importance of an interdisciplinary approach for their success. Based on my experience, I played a leading role in educating UNC providers about CAR-T associated adverse events. When severe toxicities occur, CAR-T patients will need multi-disciplinary care, so I provided education to different departments such as the MICU and the emergency department about the intricacies of caring for patients receiving CAR-T cell therapy and managing their toxicities. My knowledge and interest in the toxicities associated with CAR-T therapy provide me with a unique qualification for designing and implementing cellular therapy clinical trials. As a fellow at UNC, I designed and wrote the protocols for several trials for chimeric antigen receptor T-cell (CAR-T) therapy for lymphoma. As faculty, I am continuing to build on the experience and lessons I learned from writing these protocols as I work on developing new cellular therapy trials in lymphoma. I am interested in innovative approaches to chimeric antigen receptor T-cell (CAR-T) therapy, improving the efficacy of CAR-T cells, and management and prevention of the unique toxicities associated with this therapy. My ultimate goal is to improve therapeutic options for lymphoma patients, while minimizing toxicities and maintaining their quality of life.